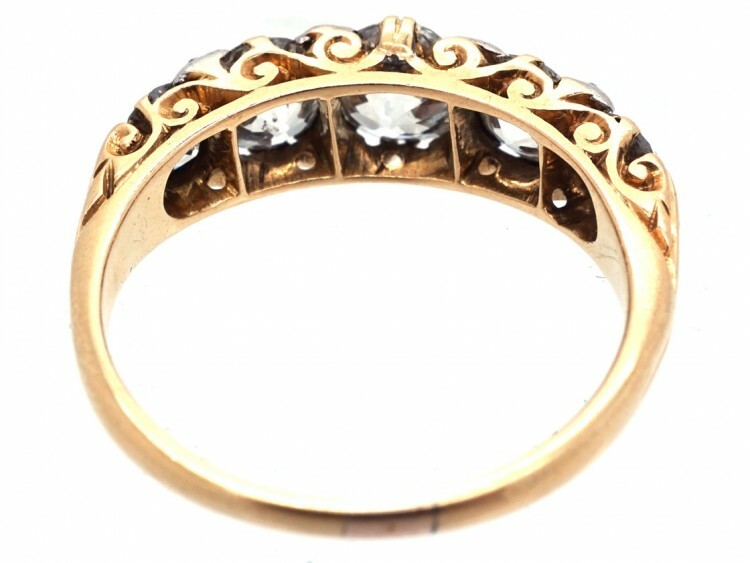 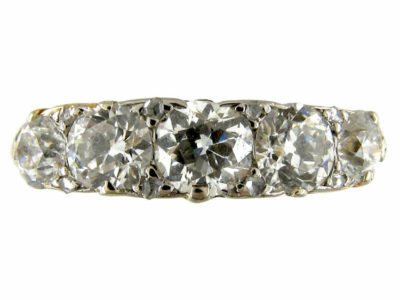 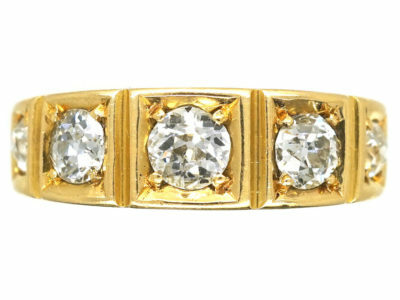 A wonderful 18ct gold Victorian ring set with graduated good bright white old mine cut diamonds with a total weight of 2.35 carats. 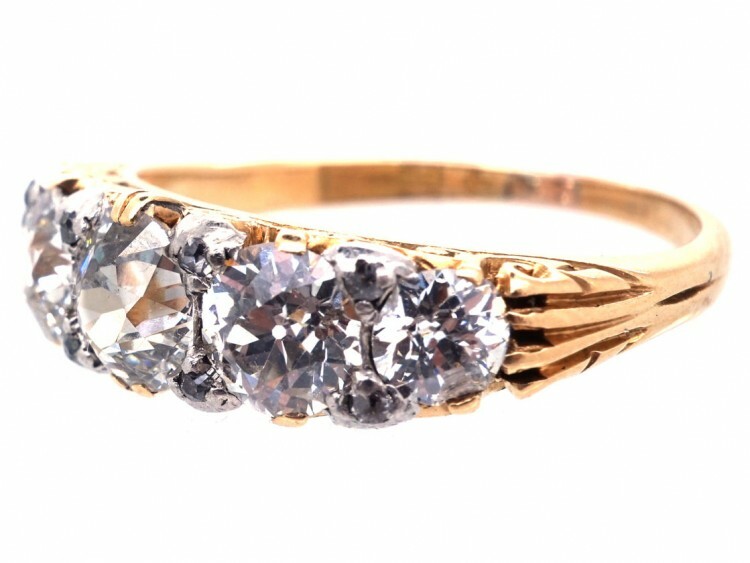 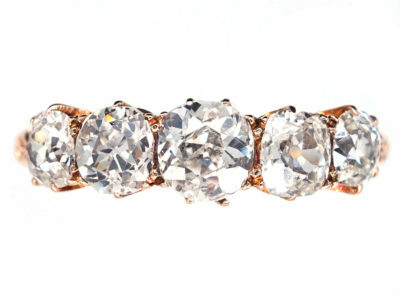 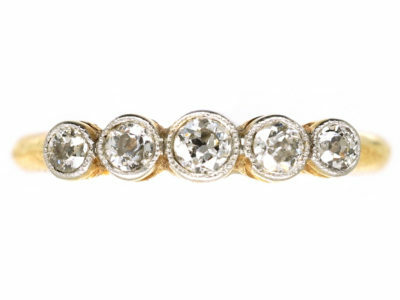 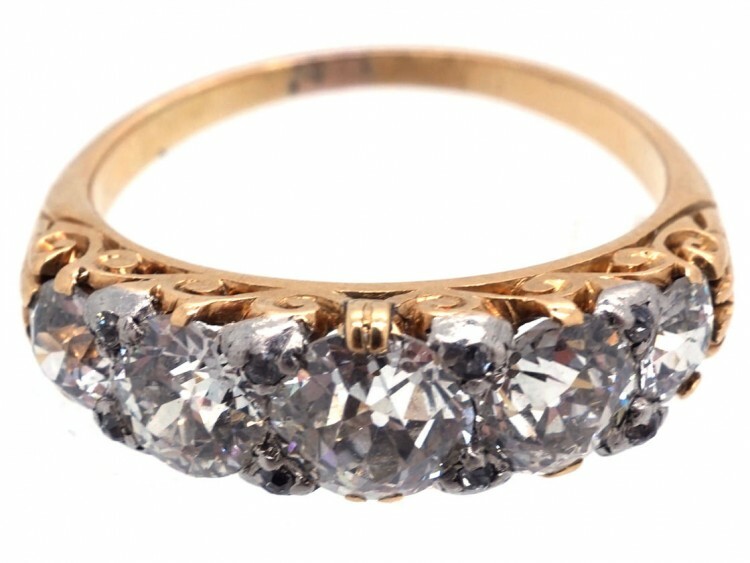 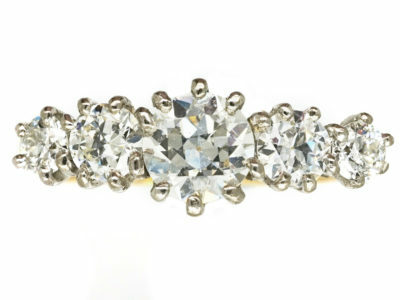 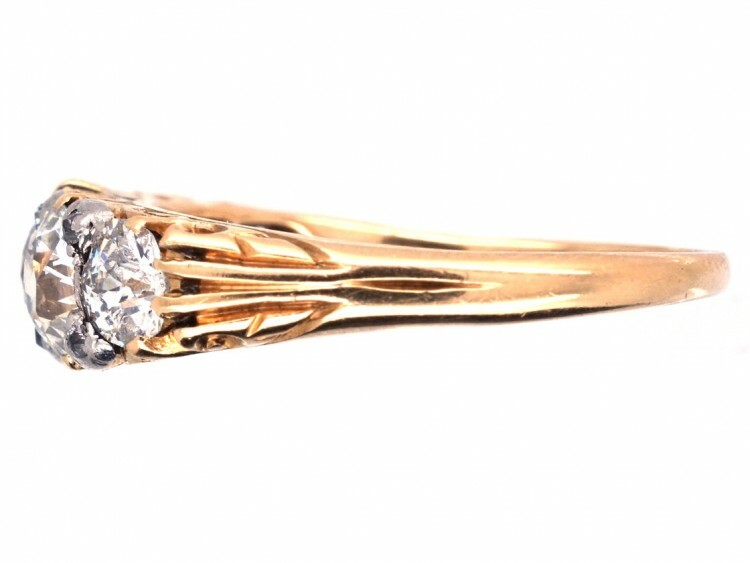 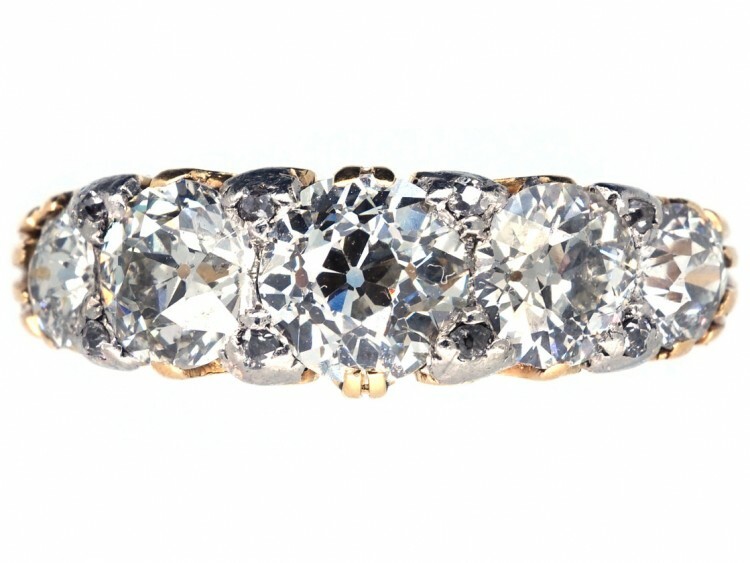 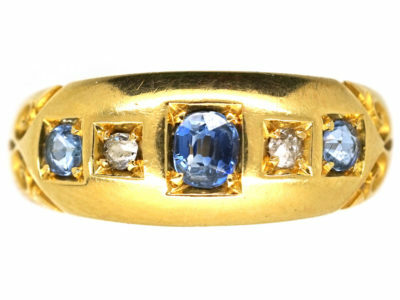 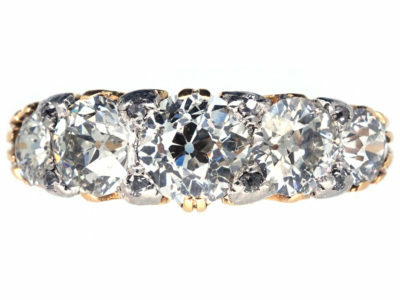 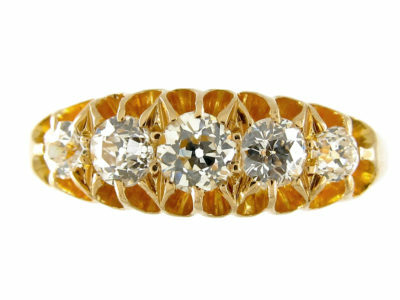 There are tiny diamonds in between the large stones which gives the ring a continuous line on the edges. 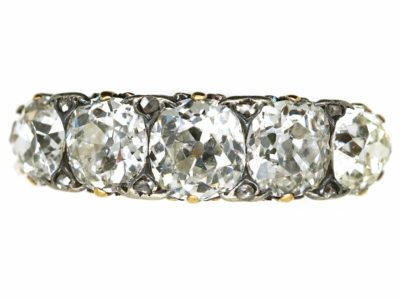 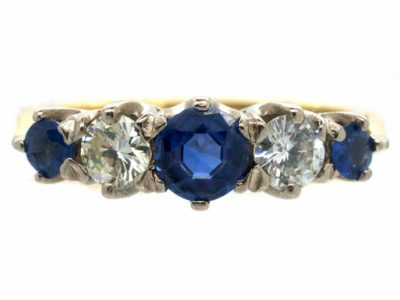 This was common practice with Victorian rings and is very effective. 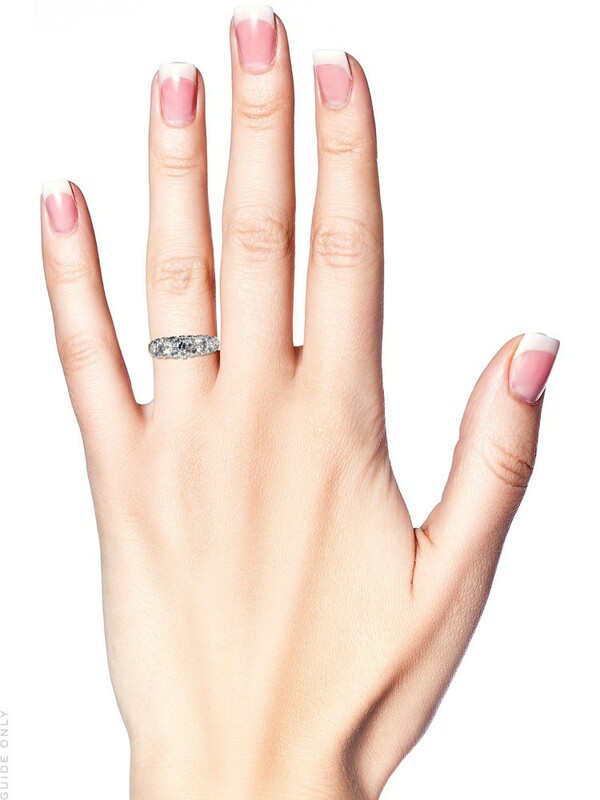 It curves round the finger beautifully. 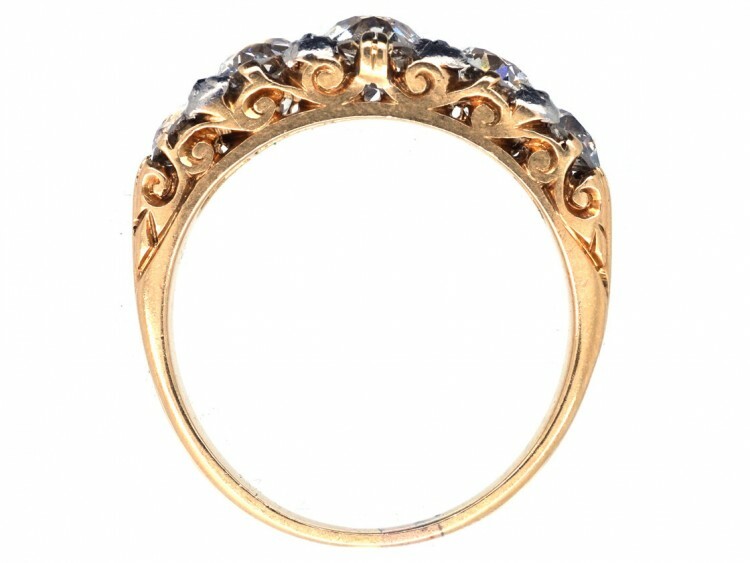 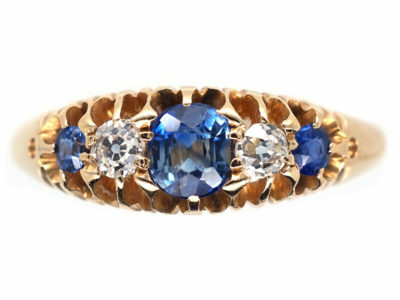 It would make a fantastic engagement ring.